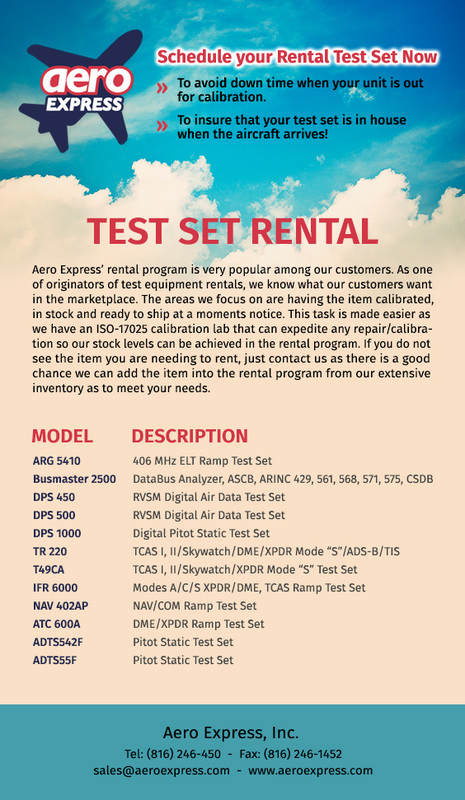 Schedule Your Rental Test Set Now! To avoid down time when your unit is out for calibration. To insure that your test set is in house when the aircraft arrives!